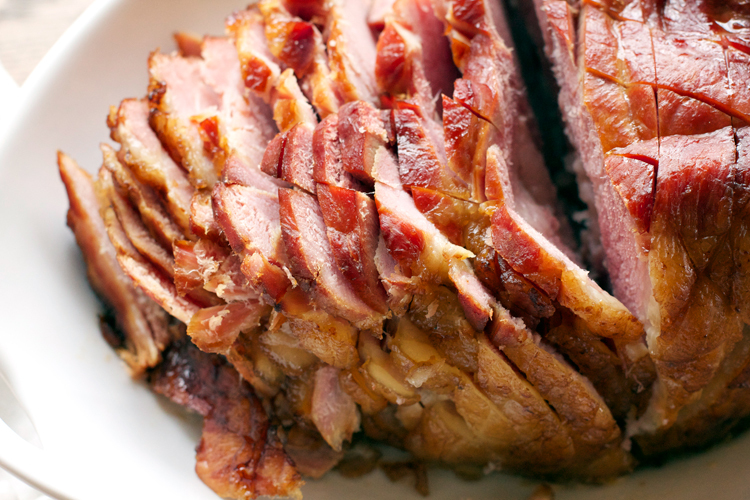 When it comes to cooking a bone-in whole smoked ham, low and slow is the way to go. In the Northwoods, more often than not, "April Showers" refers to "Snow Showers." Case in point, after a lovely weekend in the 60s and 70s, last night we got 5 inches of snow. Despite what the calendar says, it definitely looks a lot more like Christmas outside than Easter. Ah, the joys of living in Northern Wisconsin. I went super-simple with my first oven-baked ham. I decided to focus on the ham's flavor and opted to forego a glaze. If you are feeling particularly fancy, you could stud the top of the ham with whole cloves before baking; but again, I wanted to go au naturel with this recipe. There are plenty of great glaze recipes available on the web; for my next ham I'm thinking a maple-bourbon glaze could be a delicious combination. 3. 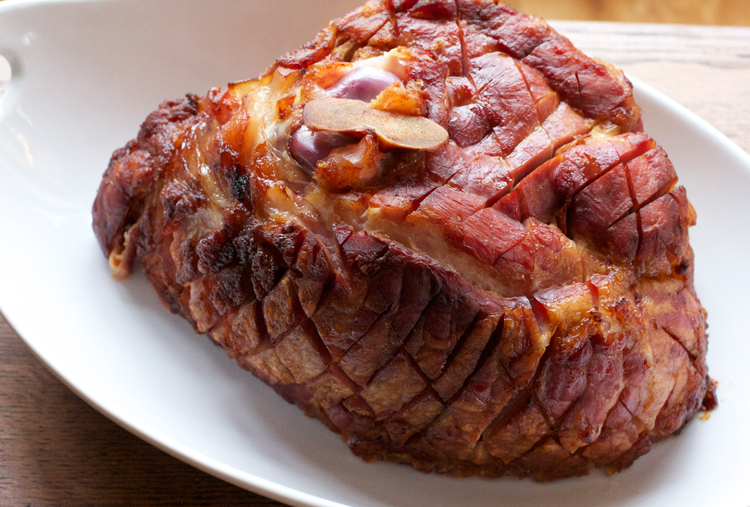 Put the ham fat-side-up in a roasting pan. Cover it loosely with foil and bake for 4 to 6 hours. The internal temperature should read 145 degrees. 4. 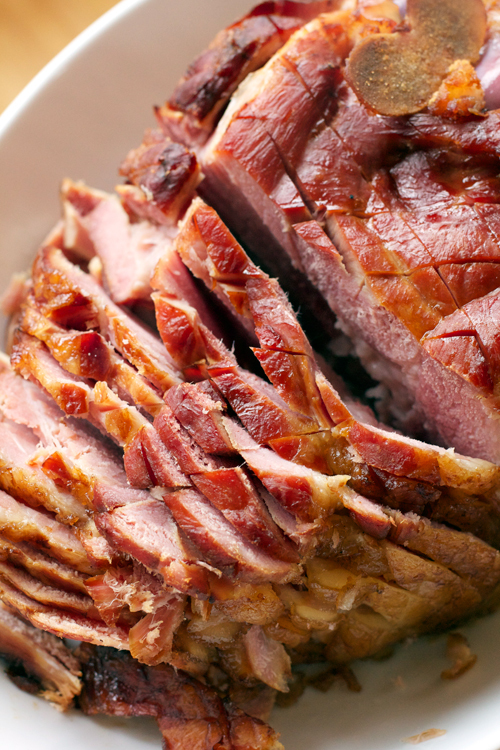 Remove the ham from the oven and let it rest for at least 20 minutes before carving.